When you are in a position where you need to hire a towing company you want to make sure that you are getting the very best service and that you have called on the right company to do the job. We know that you may be dealing with a lot, and the last thing you want to have to worry about is if your vehicle is going to be in good hands. We pride ourselves on being able to say that you do not have to worry about that at all when you call us when you need a tow. When you are in need of a towing company in Murtaugh that has experience, a knowledgeable staff and someone on your side that cares regardless of the situation, we are your prime choice. Semi truck drivers traveling on roads near Murtaugh sometimes encounter rollovers, collisions, or breakdowns. When this happens, we encourage you to call our close towing services to help with your heavy wrecker. We have experienced drivers whom we dispatch immediately after a call and who will arrive on scene 24/7 with a truck and equipment large enough to handle your big rig. We also help with any other damage cleanup within our capacity and ensure that your experience with us is positive and professional. We make it a priority to work with your company’s insurance as well, providing any necessary documentation or paperwork you may need in relation to the accident. Jump starts for battery, and more! You will be able to find so many services available by us that you will not have to look any further for any needs you may have. We are a company that has the AAA qualification as well as the Wreck Master qualification. We have had over 15 years of working in this business and have always been a company that our customers can rely on and offer services that are dependable. Not every company is able to say they have the qualification and experience that we have. We are happy to be able to let you know that we are here for you whenever you need to call us. 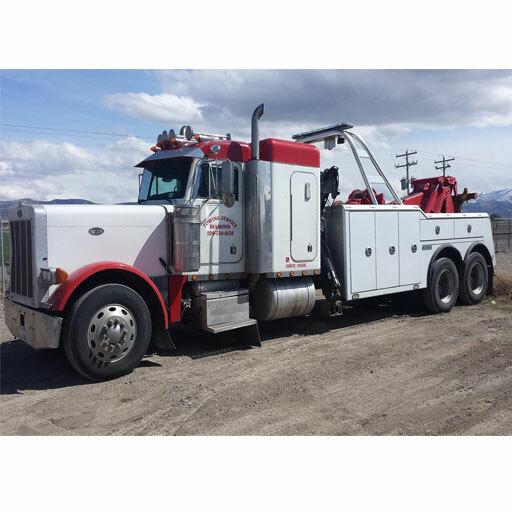 When you think of towing services in Murtaugh allow your fingers to put our number in your call list and get in touch with us. We know you want a company that you can trust and depend on. We know that you need someone that can provide you with immediate service; most importantly we know that company is us!